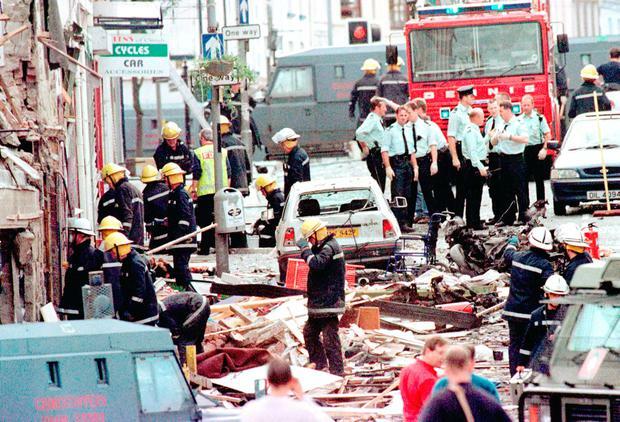 Relatives of those killed in the Omagh bombing have accused the Taoiseach of a snub after he turned down invitations to services marking the 20th anniversary of the atrocity. Two events will be held in the Co Tyrone town on Sunday and next Wednesday to remember the victims of the 1998 massacre. However, Leo Varadkar and Secretary of State for Northern Ireland Karen Bradley have already turned down invitations to join families of the bereaved at a commemoration on Sunday. Mr Varadkar last year attended a memorial to mark 30 years since the Enniskillen bombing. Michael Gallagher, whose son Aiden (21) died in the blast along with 28 others, including a woman pregnant with twins, said Omagh families have been “snubbed and disrespected”. “There is a sense that Omagh has been bypassed or forgotten about. I’m delighted the Taoiseach went to Enniskillen but there’s a huge problem for both the Irish and British governments around Omagh, because they are trying to avoid us. Kevin Skelton, whose wife Philomena also died at Omagh, said it was a “double snub” which shows they “don’t care about the Omagh victims”. The UK government will be represented by a senior Northern Ireland Office (NIO) official, while Enterprise Minister Heather Humphreys will attend on behalf of the Republic. “A senior Government minister will represent the Irish Government at the 20th anniversary of the Omagh bombing memorial service this Sunday.